A star often appears in the heaven of our souls; it is the inspiration from God, clear and intimate, urging us to greater generosity and calling us to a life of closer union with Him. 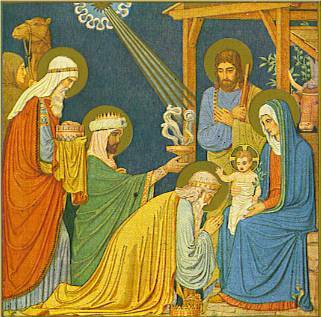 Like the Magi, we too must always follow our star with faith, promptness and selfless generosity. If we allow it to guide us, it will certainly lead us to God; it will bring us to the One whom we are seeking. The Magi did not give up their quest, although the star- at one point- disappeared from their sight. We should follow their example and their perseverance, even when we are in interior darkness. This is a trial of faith which is overcome only by the exercise of pure, naked faith. I know that He wills it, I know that God is calling, and this suffices for me: Scio cui credidi et certus sum (2 Timothy 1:12); I know whom I have believed. No matter what happens, I shall trust Him. Our Lady found this unworthy lukewarm person and obtained for her the grace to enter the Third Order of the Franciscans of the Immaculate. May this person spend all eternity in showing her gratitude. More posts by Sr. JosephMary f.t.i.